Lake Minnetonka home inspections have become an important commodity in today's real estate market. Home buying can be a fun adventure. However, it can also be worrisome, stressful and problematic. The last thing you want or need during the home buying process is to make your purchase, move in your newly-found home and discover there are problems that can only be repaired by lots of time, money and headaches. If only you were aware of the problems or repairs before you signed on the dotted line. Frankly, that's exactly why Lake Minnetonka home inspections are not just a good idea – they're the best idea. Let's take a closer look at why home inspections are important, what they cover, how much they cost and why they're worth every penny. 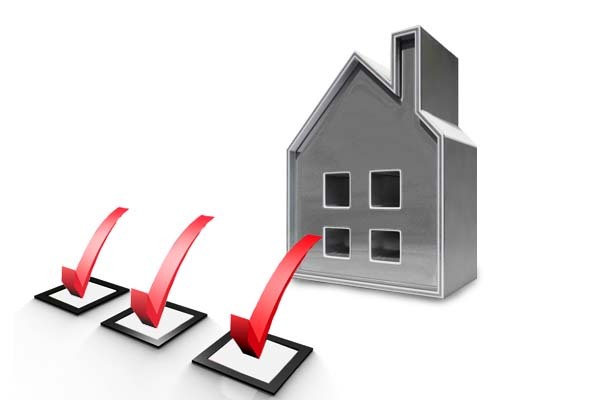 What should a good home inspection include? Home inspections should be non-invasive and non-intrusive – the inspector shouldn't make holes in the drywall, damage fixtures or remove roofing shingles. If the inspector recommends more invasive procedures be made he should inform the homeowner. Those additional examinations should only be made with the written permission of the homeowner. Therefore, it's probably a good idea to be present when the Lake Minnetonka home inspection takes place. Some buyers try to save money by electing not to have an inspection performed. And while hiring an inspector is an additional expense, it will more than pay for itself if it helps you avoid problems, expensive repairs and buying a proverbial "lemon." Average home inspection costs are in the neighborhood of $300 to $400. Depending on the size of a smaller home (say, 1,000 square feet or less) or in the case of a condominium the cost could be closer to $200-$250. A larger home of 2,000 square feet or more would cost approximately $400-$500. • Home inspection fees are calculated differently. Some inspectors charge a flat rate based on the square footage of the home, taking into consideration the living area, area under roof, or the amount of time it takes to perform the inspection. If you have a large house and the inspector is charging on the amount of time the inspection will take, expect to pay more. • A home's age will also have a bearing on the amount charged. Newer homes can usually be inspected in 2-3 hours, but older homes may take 4-5 hours. Remember, an older house has a longer history, and longer histories often mean more repairs, potential problems and a closer look. • One last tip: As with most things, you get what you pay for. The lowest price doesn't always equal the best results. Make sure your Lake Minnetonka home inspections professional is certified and qualified. • Asbestos – While newer homes probably don't contain harmful asbestos, older homes may. Expect to pay a minimum of $400-$500 for inspection and testing. Plus, asbestos removal can be a very expensive proposition – depending on the amount of asbestos. Expect the cost to be as little as $500 or as much as $25,000 or more! • Mold – Most homes cost around $750-$900 to have mold tests. If mold is discovered, professional removal could run as much as $2,500 or more. And what about the unexpected costs? • Flooring – Floor joists often need to be replaced in older homes. They usually cost $100-$300 each. If an entire section of joists need replacing the cost can be $5,000-$10,000. If the house needs to be jacked up and have all joists replaced, expect to pay $10,000-$30,000 or more! A last word on Lake Minnetonka home inspections: The old adage, "An ounce of prevention is worth a pound of cure" has never been truer. If you find a home you want to buy, consider investing in the cost of a home inspection. It could save you a small fortune over the long haul and provide you valuable peace of mind.